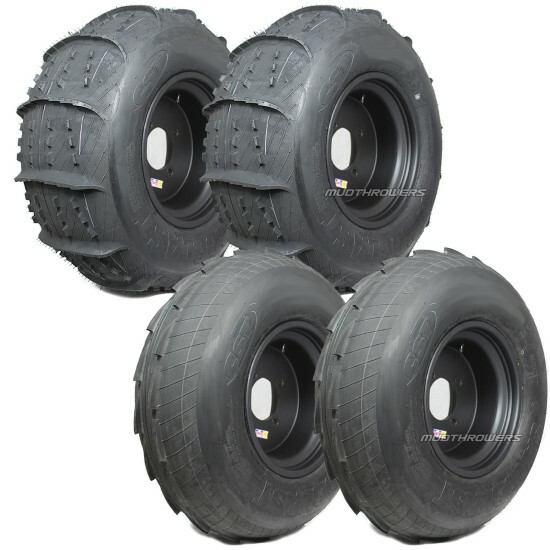 The 32" CST Sandblast is a light weight tire which features 15 paddles (0.79" tall). CST Sandblast tires offers maximum flotation and excellent traction, and are line up perfectly for higher HP SxS's. The front tire design also allows for positive steering control or machines with a longer wheelbase. Looking for the lightest wheel? 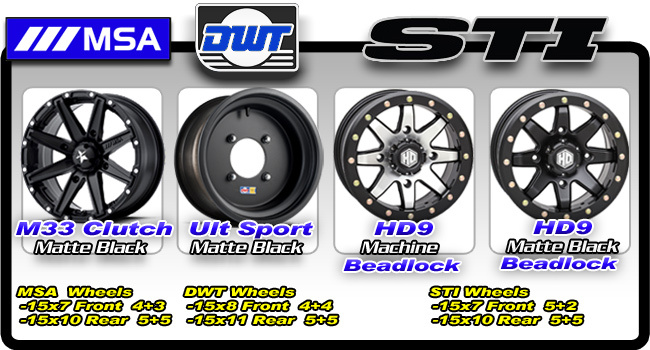 Check out the DWT Douglas Ultimate Sport wheels. They are among the lightest of the lightest, weighing only 12.8 lbs for the 15x8, and 15.8 lbs for the 15x11! Recomended for Can-Am X3, RZR Turbo machines.